The “Cross My Heart” sweater wrap! I am SO happy with the way this turned out. New favorite pattern from Wool and the Gang and it was a fast and fun knit! Simple concept but still unique construction. Biggest lesson learned? Don’t ever try to seam something that is Möbius strip like after a glass of wine. It. Just. Won’t. Work. So here’s the step by step. Lay it out flat. Drink coffee. Twist once. Drink more coffee. Turn pretzel fabric into this. For me, that meant putting it on and slipping it off to get it to lay right. But..I love it!! Super warm and cozy! 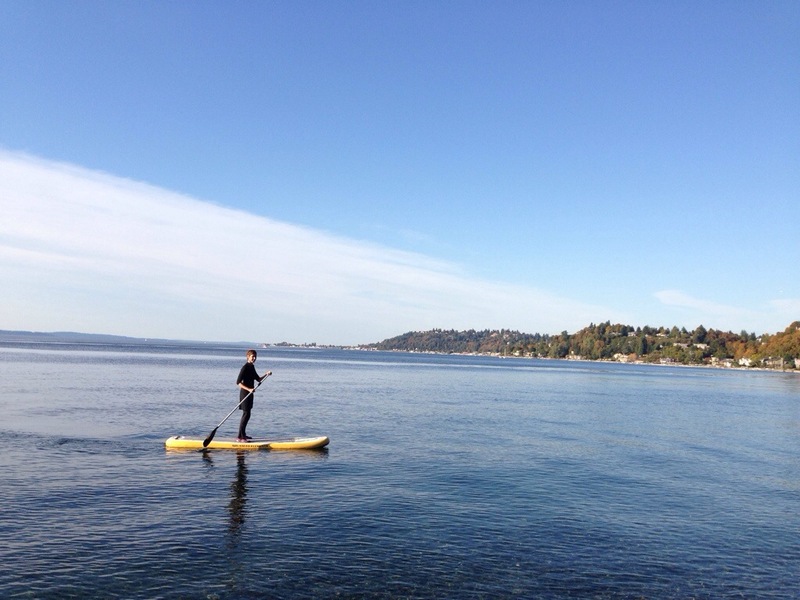 I spent the afternoon on my SUP and then warmed up in my cozy wrap. Good times. Thanks Wool and the Gang! 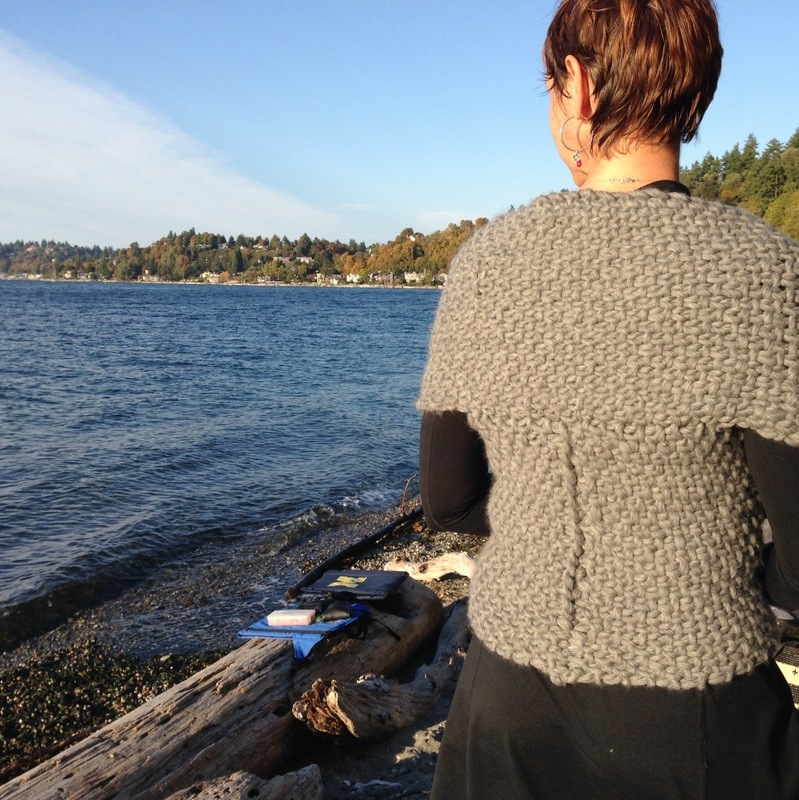 This entry was posted in knitting, Quick Projects and tagged cozy knits, handknit, knit wraps, knitting by Leah. Bookmark the permalink. Thanks!! It was a good splurge though..the yarn is crazy nice!!! 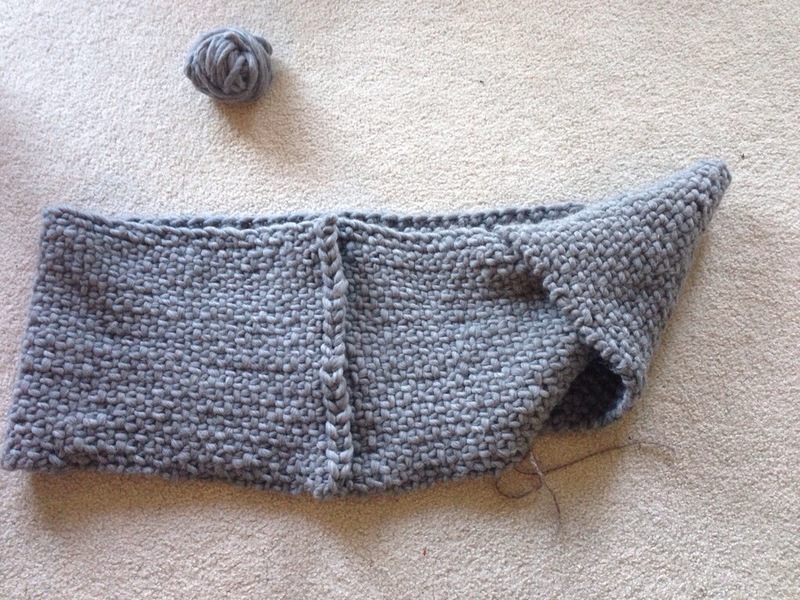 I should get started on the really bulky yarns, maybe I could finish my knits…. Is it seamed horisontally across your shoulderblades too, or do you have to wrap it every time? I have to admit, these are pretty satisfying projects! Yes, the seam goes across the back as well, so it’s very simple to wear. I really love it…might even make another one in a different color! I love it!! Did you use their yarn too? Was it part of one of their kits?? I want to make one! Thanks! I did use their yarn..and loved it!!!! The kit is worth it, IMHO. 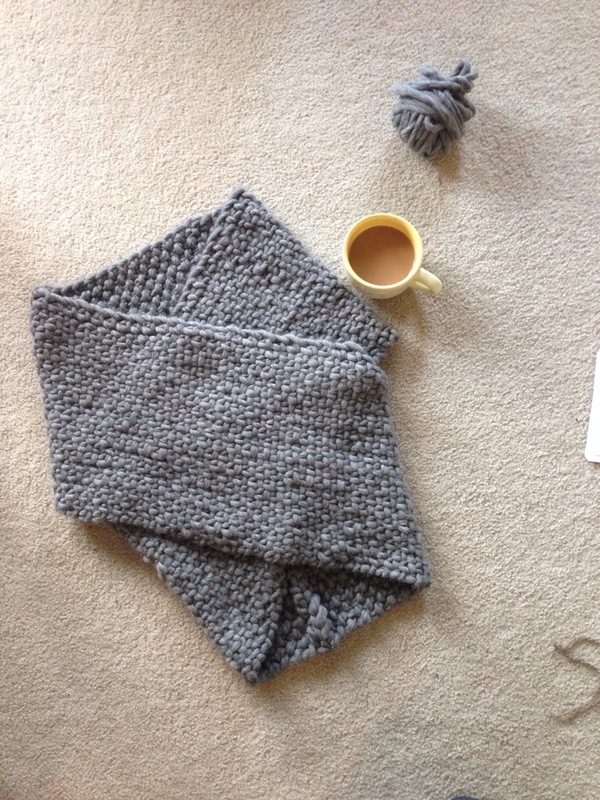 High quality yarn and a really fun/practical design. I kinda want to make another in a bright color now. Interesting point though. I made the small cuz it needs to fit snugly and only needed 3 balls of yarn. I had enough left over to get to a medium. The kit comes with 4 balls, so it might be worth asking them if you can order with three if you think you are a small or medium. Thanks, good to know! I’m generally a medium. That’s so awesome, I really want to get the kit. Did it take long to ship since they are international?! If you request DHL, it’s really fast. I has one order that way and it came within a week. My second order was “regular mail” and it got lost. They were really fast at resending it, but they went back to DHL. Really love their quality and style though–fun stuff! I really love this. Looks so cozy and perfect for the sudden cooler weather that we are having. Thanks!! It is cozy..actually almost too warm, which is crazy! I do love it though.. I would really like to give this a try on my own – with out the pattern. Can you tell me how long the piece is and how wide??? Thanks! Sure! In centimeters: S 165, M 173, L 181 and XL 190. 25cm wide for all sizes. 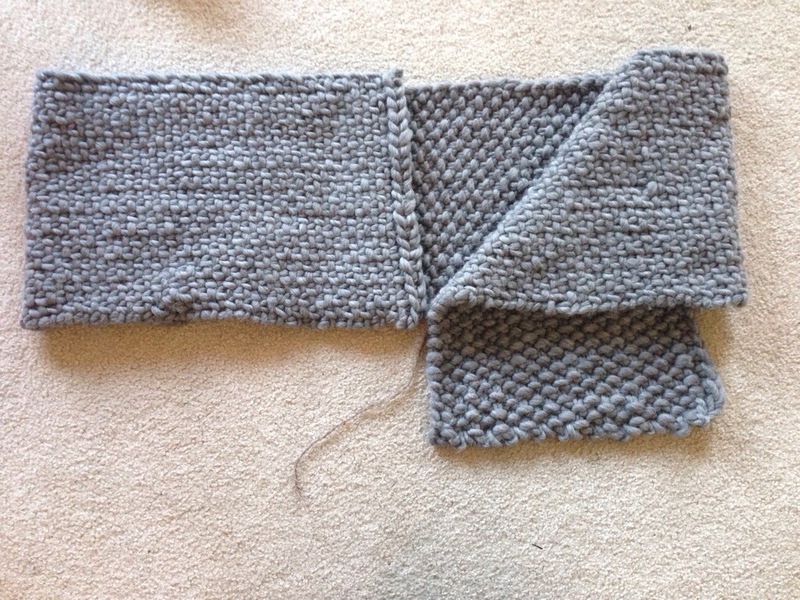 I started with the medium but it was too big and frogged back to the small. It doesn’t need too much give, so I would size down if you are in doubt.. Thank you so much! I will let you know how it turns out! Please do..and I wear mine all the time..I love it! 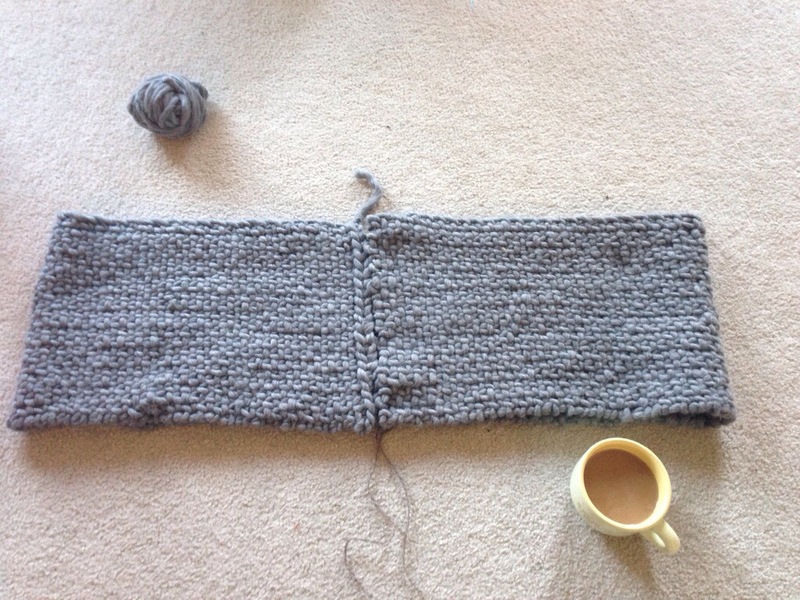 Perfect – so about how many stitches do you cast on? Thanks again – sorry obvious novice at this! No worries! 23 was the cast on with size 15 needles. Linen stitch made it a very solid fabric! 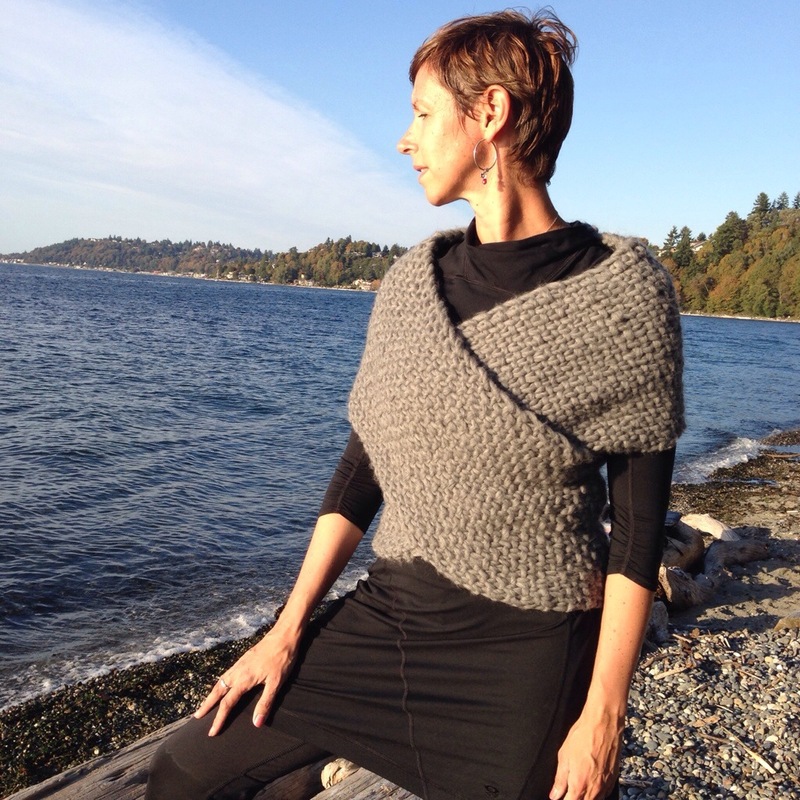 I love this Cross My Heart Sweater Wrap… but can’t find it on their website. Can you help me ?? Love the look– you did a gorgeous job!!!!! Ooh, gotcha! I would try email them and seeing if you can purchase the PDF. They are pretty good about things like that.